On September 16, 1961, in the city of Jaraguá do Sul, State of Santa Catarina, an electrician, an administrator and a mechanic joined their skills to create Eletromotores Jaraguá. 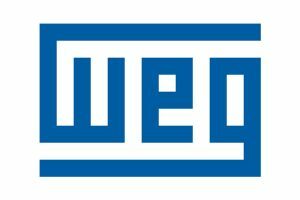 Born of the courage of visionary entrepreneurs, the company later became WEG, after its founders’ initials. This name is presently renowned as one of the biggest electric equipment manufacturers in the world. WEG initially produced electric motors and since the 80s expanded its activities, to produce electrical and electronic components, products for industrial automation, power and distribution transformers, liquid and power paints and electric insulating varnishes. The company consolidated itself not only as a motor manufacturer, but also as supplier of complete electric systems. It supplies capacitors, command and protection, servo drives, inverters, softstarters, electric motors, large motors and generators, electric panels, electric circuit protection, paints and varnishes, and transformers.